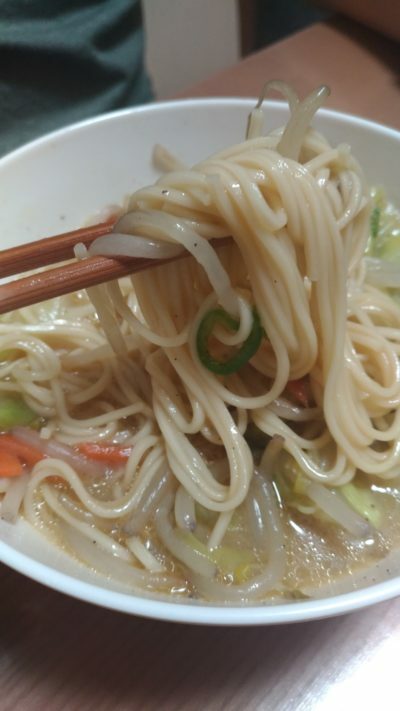 The Halal, Healthy, and Vegetarian Friendly “Samurai Ramen” Review! The Halal, Healthy, and Vegetarian Friendly “Samurai Ramen”! Known as the-most-popular Japanese food, many foreign tourists get curious with the taste of ramen, especially since it often appears in Japanese anime broadcasted overseas. Halal ramen, since made its appearance in Japan since a few years ago, is becoming so popular among both Muslims living in Japan and Muslim tourists. Samurai Ramen, Halal Ramen to Bring Home! After enjoying the rich taste of halal ramen in the restaurant, you may think to enjoy it at home or maybe bring it as a souvenir for family and friends in home country, and here it is, “Samurai Ramen” for you to bring home! Samurai Ramen is no animal, no fish, no MSG, no alcohol instant ramen, which is halal, healthy, and vegetarian friendly! 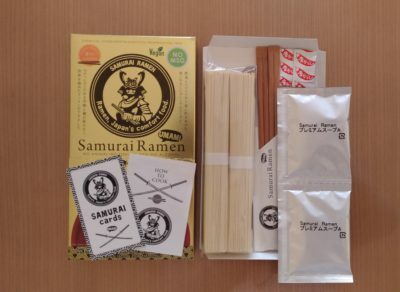 Here is Samurai Ramen in exclusive gold package (2 servings) which is suitable as present! There are bamboo chopstick, noodle, soup paste, and chili powder along with samurai card and cook direction in a box. You can serve it with just approximately 5 min! Then, enjoy the chewy noodle and miso-taste soup that will freshen you up! How to add some toppings as you like? Get Samurai Ramen exclusive gold box at Sekai Café Asakusa or Amazon with price 864 yen/box. 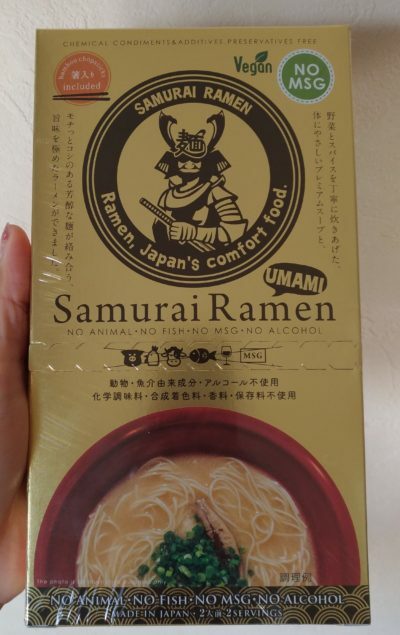 Besides of exclusive gold box, there are samurai ramen in plastic package for home use, available with price 972 yen for 3 packages (each for 2 servings) as can be found on Amazon. Also available In 5 packages (1,620 yen) and 10 packages (3,240 yen). 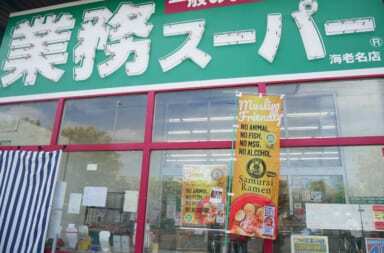 “Samurai Ramen UMAMI” is Non animal Non alcohol ramen!! Samurai ramen is now available at the tourist information center at Kyoto tower. SAMURAI RAMEN is now available in Malaysia. Muslim friendly Ice Cream at The Instagrammable Peccapu in Osaka! SARIO Heichinsaryoo China Town Started Muslim Friendly Menu And Set Up Prayer Space! 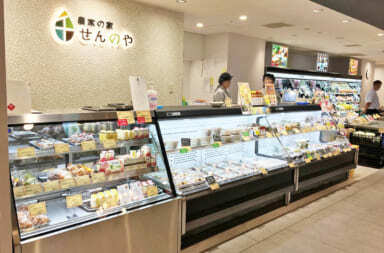 The Specialty of Kawagoe “Unaju” is Now Available Halal at Kawagoe Kousushi ! Haneda Airport Become Way More Comfortable! Halal Kebab Bento is Now Available at Haneda Airport! 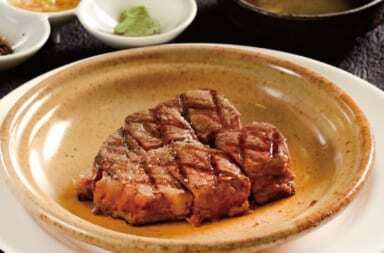 High-Class Ohmi Beef is Now Available Online! Get Tasty Meat Delivered Directly to Your Home! Good News for Bread Lovers! Enjoy Buffet-Style Lunch and Halal Bakery Class With Hanamaza Pan!